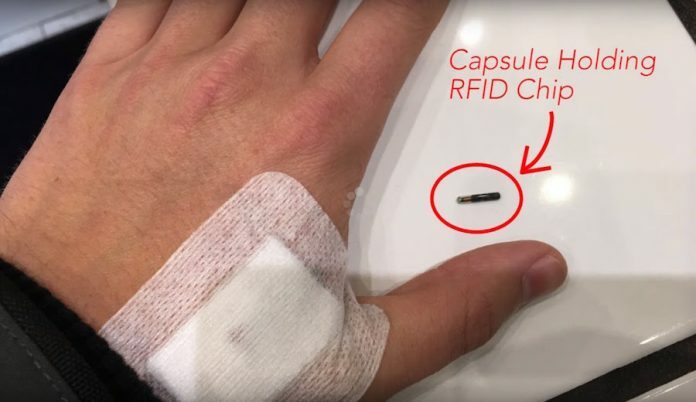 The video, which presents the idea of having a microchip surgically implanted under your skin as harmless, fun, and inevitable, has been viewed by hundreds of thousands of people. Charles Warzel, a senior writer at Buzzfeed News, says he wanted to see what “the future of money” looked like, so he spent a month paying for things only using his phone. Before he knew it, he was undergoing surgery to have a microchip implanted in his hand. The video has provoked a backlash online with people pointing out that Buzzfeed is glamorizing one of the New World Order’s most insidious plans. The NWO is preparing to force all of mankind to get a mark on the right hand to buy and sell, and they are using mainstream media propaganda to normalize the idea in society. 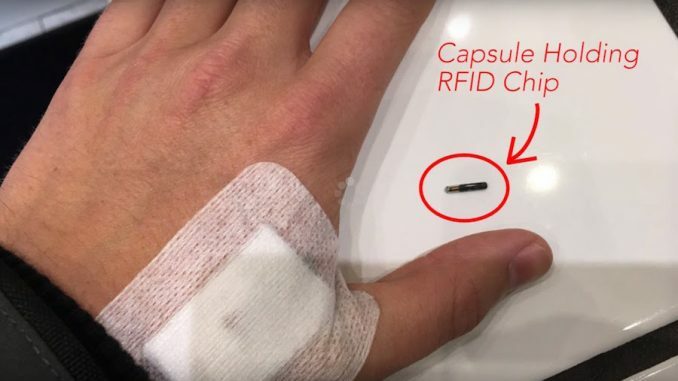 RFID microchip technology – as used on Charles Warzel in the Buzzfeed video – has the power to control your identity, history, finances, medical records, and track you by satellite. With a microchip under your skin, the government will have complete control over you. The collapse of the US dollar and economy are the next step in the plans of the world leaders to impose their “One World Government”. They will attempt to force us all to receive the implanted microchips or be permanently detained, excluded from society – or even worse. The only catch is that you won’t know exactly what is being put into your body or your family’s bodies. You also won’t know who will have access to the data. If history repeats, it will go from being technology adopted for its ‘convenience and fun’ and then overnight will become mandatory for you and your family – or else. Why has homelessness become a crime in many US cities?